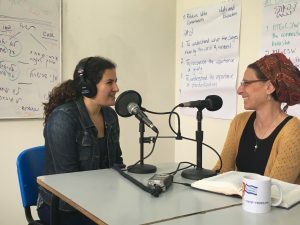 Becoming a Soulful Parent’s Director Dasee Berkowitz and Pardes Institute’s long-time educator Tovah Leah Nachmani invite you to learn about some of their most meaningful ideas they have used at their seders in these new Pesach-themed episodes of their podcast, Inspired Parenting. We hope it can inspire your own! How often do we share our personal and life-transforming stories with our kids? What new insights, teachings or activities do you want to share at your Seder table to make the experience of leaving mitzrayim come alive? This Passover, we want to inspire our children to become more curious about the elders in their lives and the elders about their children. Briefly touching upon many of the 15 steps of the Seder night we explore three aspects of our very own slavery and liberation – Physical, Spiritual, and Emotional. Click here to listen to our Inspired Parenting: Pesach Edition series.